As promised, here is the Mimco giveaway I mentioned earlier! 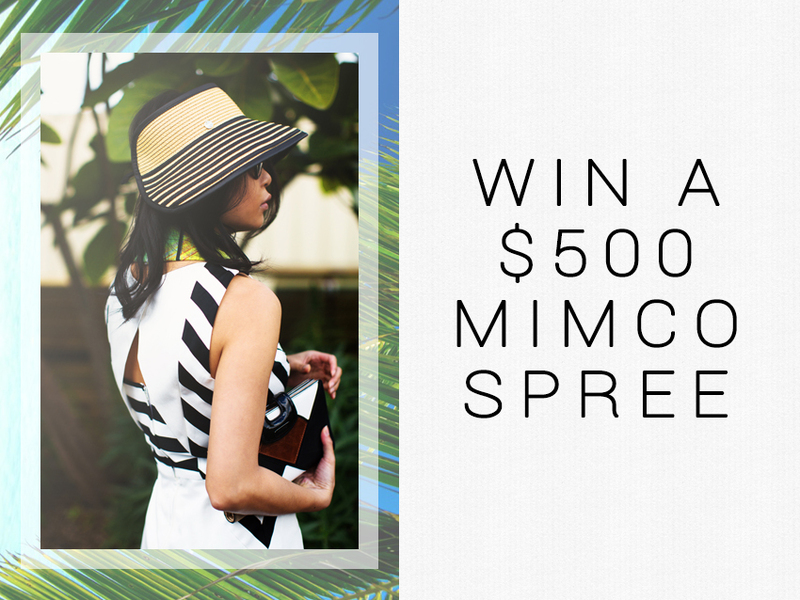 This is your chance to win a $500 shopping spree at any Mimco boutique in New Zealand. To enter, just leave a comment with your name and email contact. Simple as that. Bonus entries will be given for sharing the giveaway on Facebook or Instagram (just make sure to tag @fashiondistraction so I can see it! ), and leave another comment here for your extra entry. A winner will be drawn in two weeks, on the 30th November. This shopping spree is valid until 8 December 2013 at any Mimco boutique in New Zealand. RRPNZ$500.00 must be consumed in one transaction, product cannot include ‘Mimco Loves’, Limited Edition or gift vouchers. Product cannot be placed on lay-buy. Product cannot be returned for refund, but exchange is permitted. Congrats to the winner, Kate Cross! New to your site - love it so far. Oh man! Great giveaway, I would love to win. Wow such an amazing prize! crosses finger, really want one of the mimco pouches! Early Christmas present? Yes please! Have shared on FB too. thank you!